If you’ve got a family and you’re going to be on the roads frequently, you need space, a comfortable ride and something a bit more rugged than your average family car. We’ve picked 10 you can rely on; all with a big boot, space for passengers and a dose of toughness on the outside. Find out here how to get the most for your money with car finance and head over to Parkers’ free valuation tool to work out just how much your old car is worth. The Skoda Yeti has been on sale for a while now (it debuted in 2009) and since then has undergone a facelift to keep it looking fresh. It’s received a raft of changes to the engine and trim level line-up. It boasts a raised ride height that will appeal to family buyers, there’s a generous amount of space inside, interior quality is solid and there’s a vast selection of strong diesel and petrol engines to choose from – the 2.0-litre TDI diesels are particularly impressive. If you must have four-wheel drive for extra traction, you can get this higher up the range on more powerful models, while manual and DSG automatic gearboxes are also widely available and it’s a very relaxed and comfortable car on the move. 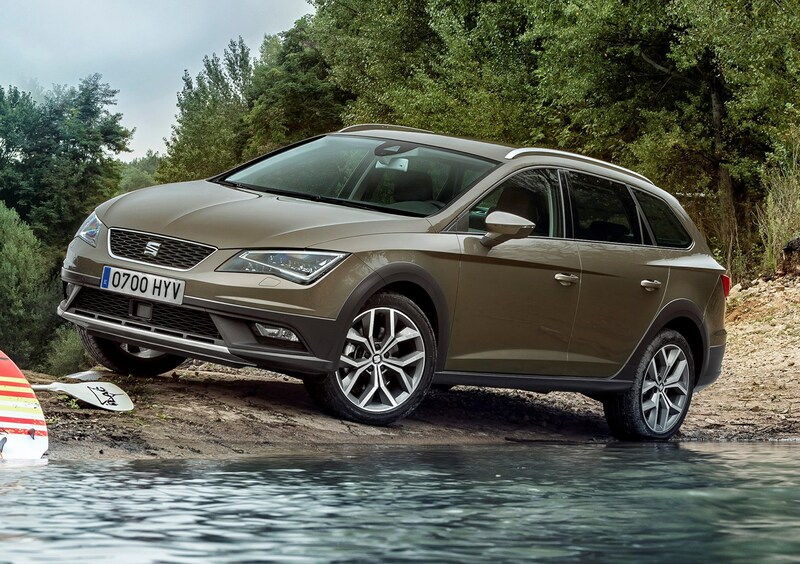 The Leon X-Perience is a rugged version of the regular Leon ST estate. The ride height has been jacked up by 28mm over the ST, some black plastic cladding around the bumpers and wheelarches has been added and there are some suitably earthy colour choices for both the exterior and interior trim. A 2.0-litre TDI diesel engine is your only choice, with either 150hp and a six-speed manual gearbox or 184hp fitted only with a smooth-shifting DSG auto ‘box. The engine is strong and refined in either output and the X-Perience’s part-time four-wheel drive system will keep you moving when conditions worsen. Inside, everything is solid and well screwed together, plus there’s plenty of space for passengers and the 587-litre boot is big enough for almost anything you need to carry. 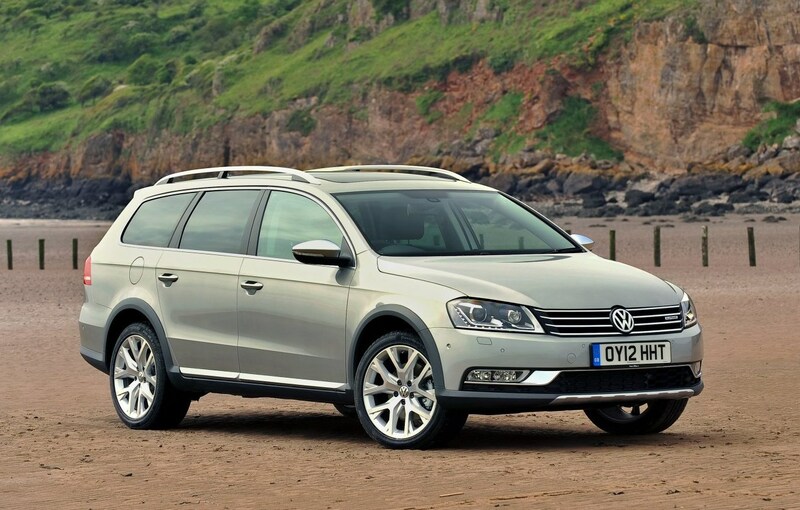 It comes with plenty of standard equipment too, and is much cheaper than the equivalent VW Golf Alltrack. 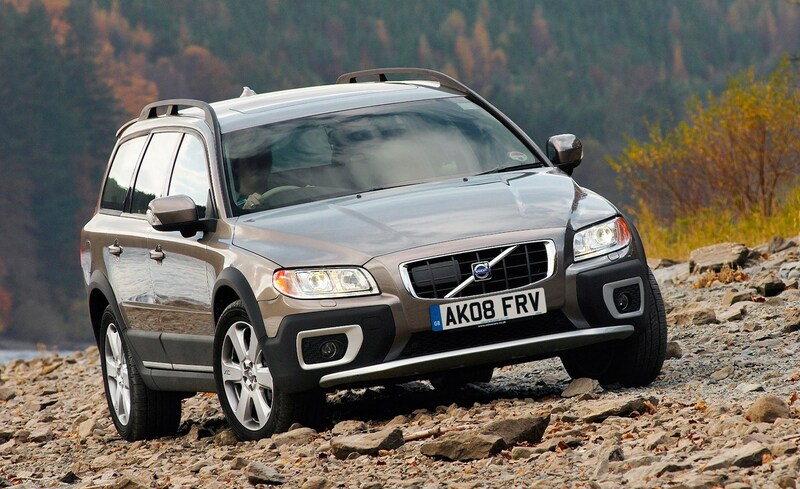 The XC70 has been knocking around for a while now, but it’s a great used buy if you’re looking for something relaxing, spacious and very comfortable. It’s got a raised ride height over the regular V70 estate and is surprisingly capable off-road, plus it also makes for a great tow car thanks to strong diesel engines. Inside, the dash design is very Swedish indeed, with lots of high-quality materials and smooth finishes, although there are a lot of buttons to get your head around. On the road it’s angled more towards comfort than sportiness, but that means it’s a great long-distance cruiser. It’s also got impressive safety credentials as you’d expect, which are important when transporting the family. The D4 diesel engine comes with either a manual or automatic gearbox and the choice of front- or four-wheel drive, plus it’s the most economical of the lot, while the powerful D5 is better suited for towing. The Octavia Scout is essentially the same car as the SEAT Leon X-Perience and VW Golf Alltrack, except it boasts a bigger 610-litre boot and more interior space. There’s a number of extra features to make life easier, too, including a double-sided boot floor cover and an ice scraper in the fuel filler flap. You get the same choice of strong and effcient 2.0-litre TDI diesel engines as the SEAT, with the same part-time four-wheel drive system for when driving conditions get a little trickier. There’s little body roll to speak of in the bends and it’s a very comfortable, refined cruiser on the motorway, although there’s not a lot of feel in the steering. Audi’s Allroad version of the classy A4 Avant rides 180mm higher than the regular car, and comes with Quattro all-wheel drive as standard. Inside it’s very high quality and there’s plenty of space for a family, although not quite as much as other cars in this list. Powerful petrol and diesel engines are available, including a 3.0-litre V6 TDI diesel and a 2.0-litre turbo petrol from the VW Golf GTI. Probably best to stick to a 2.0-litre TDI for the best balance of performance and economy, though. While there’s a new Passat Alltrack on sale, the previous-generation version still has plenty going for it. It has classy looks, a spacious, well-built interior and impressive capability if you venture away from the tarmac. Like most of the cars in this list, though, it’s probably better suited to muddy tracks than serious off-road courses, but the four-wheel drive system means it’ll keep you going when the going does get a bit tougher and roads become more slippery. Its diesel engines are strong, although you’ll need to go for the more powerful of the two available if you want a DSG automatic version. The Alltrack also makes a great tow car. 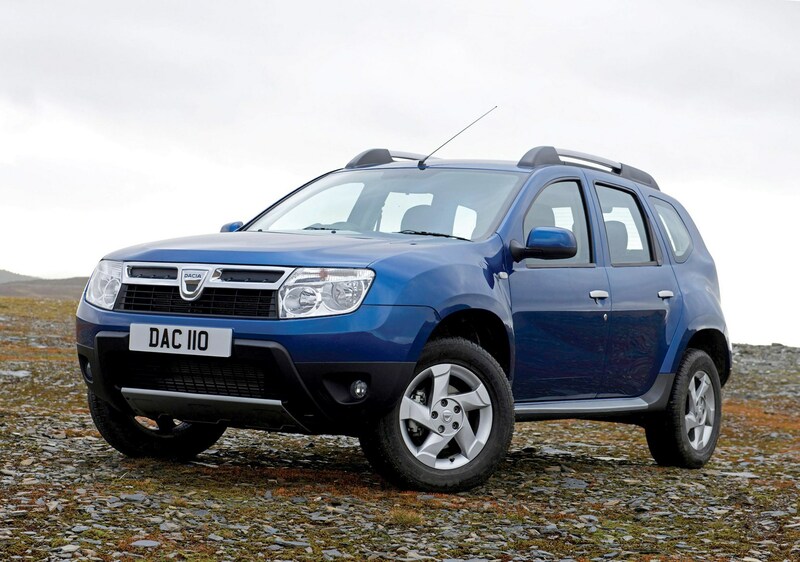 Buying a Dacia Duster brand new could cost less than some of the used cars in this list, thanks to incredibly reasonable list prices. You get a lot for your money, though, assuming you avoid entry-level trims. It’s got impressive off-road ability, a tough exterior and a no-nonsense interior – although the plastics do feel quite cheap as a result. There’s plenty of room inside and a decent amount of standard kit, and the diesels have reasonably low running costs. Four-wheel drive is available with all engines on offer too, meaning you can have that go-anywhere ability whether you want petrol or diesel power. The RXH features a diesel engine, was available as an electric hybrid and had a jacked-up ride height you don’t get in other 508 SW models. It’s quite a niche choice, but it boasts reasonable running costs, although the semi-automatic gearbox in the hybrid can be frustrating to use. Approach it with a more relaxed nature and the 508 is a laid-back, comfortable cruiser with a spacious interior. 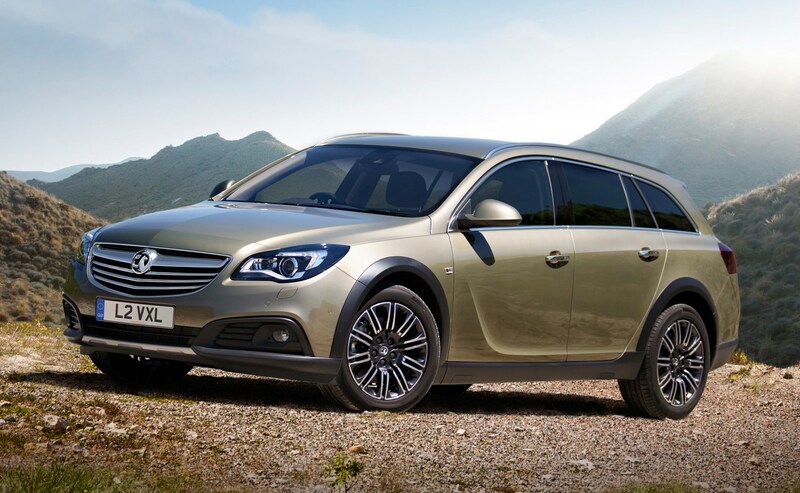 The Insignia Country Tourer is a big, practical estate car with a raised ride height and standard four-wheel drive. There’s a choice of two strong diesel engines under the bonnet – one with 163hp and the other with 195hp. The former comes with a manual or auto gearbox, while the latter is exclusively available with an auto. 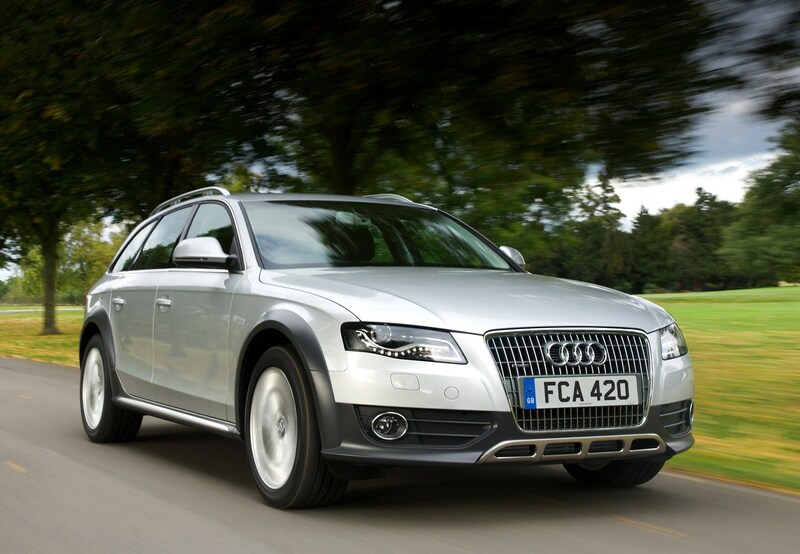 Four-wheel drive is standard to keep you on the move; the handling is safe - if unexciting - while there’s plenty of standard equipment on board, plenty of space for the family and a 540-litre boot for luggage. The Outback has a great reputation for solidity and reliability, while its four-wheel drive system is particularly effective in the wet, snow and slippery conditions. It doesn’t look the most exciting, but if you want something spacious and dependable to cart the family around in, it’s a great choice. Opt for a diesel though, as the petrols are thirsty and expensive to run. 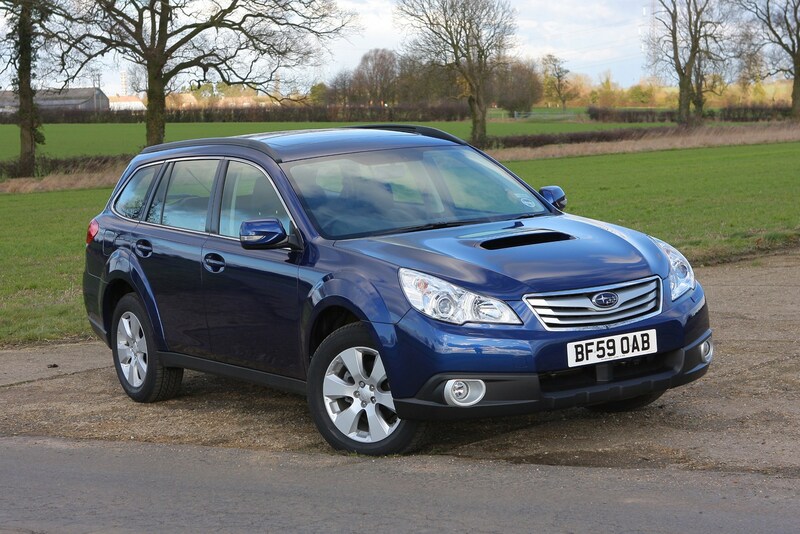 Servicing costs can rack up too, but it’s unlikely the Outback will go wrong very often. It’s not the most entertaining to drive, but there’s plenty of grip and the interior is very comfortable and packed with standard equipment. 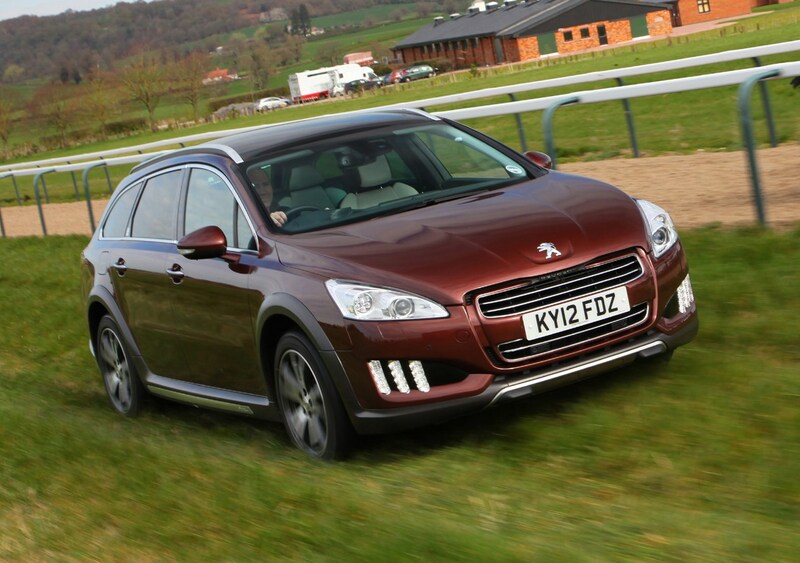 It’s unlikely cars like this have done any proper off-roading, but they’re favoured over regular estates and other family cars because they’re more rugged. For this reason, it’s worth checking underneath the car for any damage that may have been caused from venturing a little too far off the beaten track. This goes for any car, but a lot of these models are likely to be high-mileage examples on the used market so you’ll need to make sure they’ve been looked after properly. For example, problems with flywheels and cambelts can be an issue on some, so check they’ve been changed or how long it’ll be before they need changing. 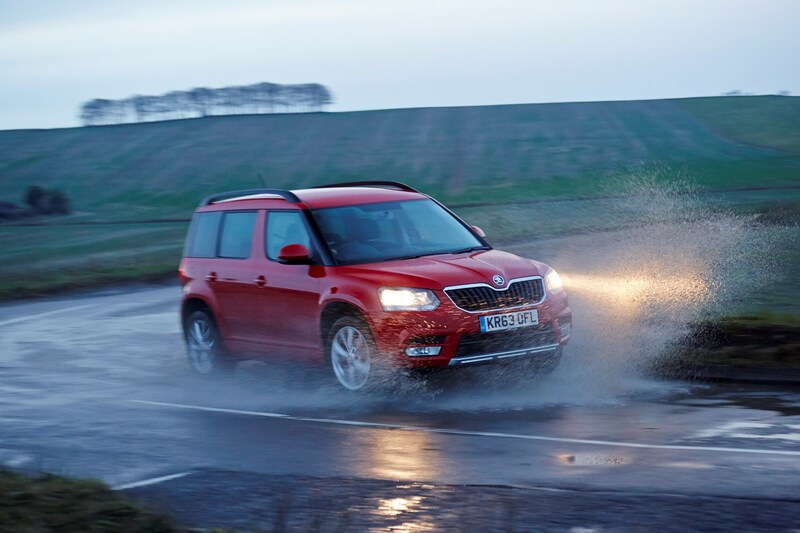 If you do face challenging roads regularly in the winter months, four-wheel drive is sensible. But if it’s only occasional, then a set of winter tyres may be a better bet, plus it could open you up to more efficient models further down the range that do without four-wheel drive. Check what you require from your car before you buy. Several examples we’ve listed are only available with automatic gearboxes in higher powered diesel versions, for example. Have in mind what your priorities are - be it more power or manual/automatic gearbox - and check the specs carefully. Vauxhall Insignia: which version should you buy? 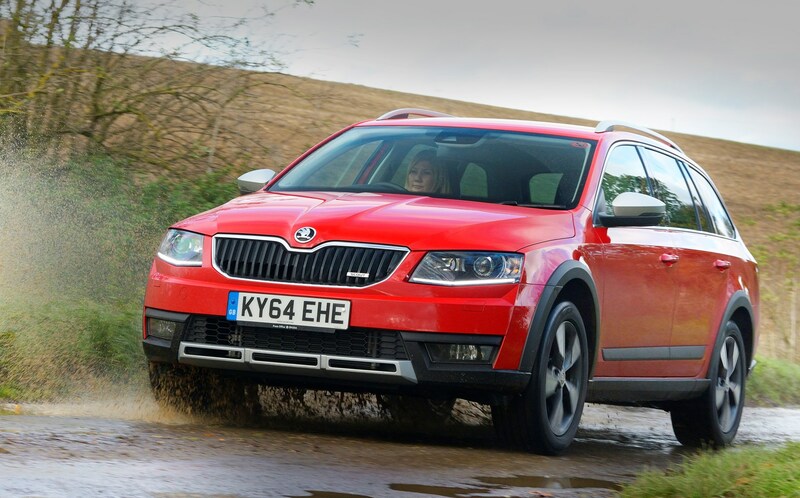 Skoda Yeti – Why now's time to buy?